May Belle knows that it ain’t summer without a few drinks, and this pretty little number is certainly cocktail ready. Featuring a flattering A-line shape and contrast black piping, this versatile piece is both day and night ready. And of course, the drinks are on us! Love the print? 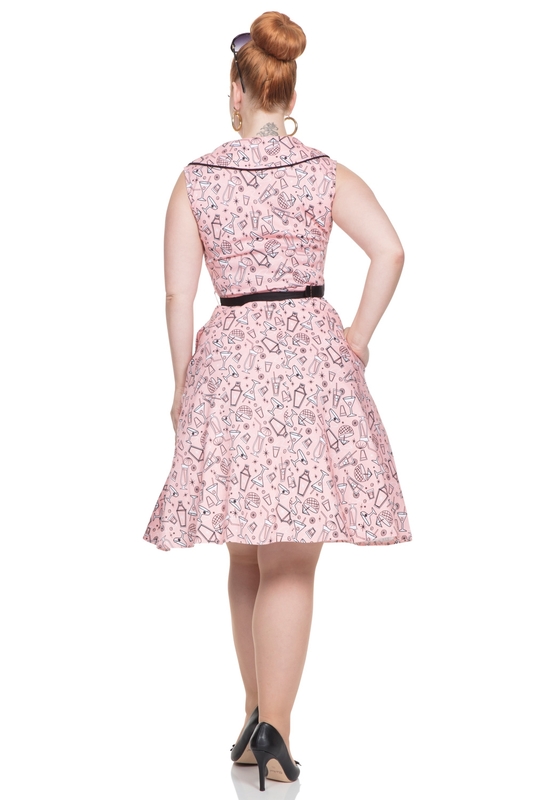 Carry on feeling pretty in pink with Claudine, our flared Parisian print dress!